"Make it a win-win situation. 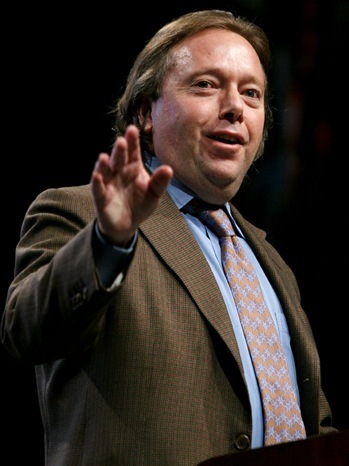 Don't be a colonialist going in, teaching people how to do things your way," company topper Richard Gelfond told a moguls panel at the festival. TORONTO -- It's no secret the major studios and China have had a rocky relationship in recent years. Richard Gelfond thinks he knows why. Foreign players can't dictate the market in China, the IMAX CEO told a moguls panel at the Toronto Film Festival on Monday. Of course, that hasn't stopped Hollywood from trying. "Make it a win-win situation. Don't be a colonialist going in, teaching people how to do things your way," Gelfond said. An example: IMAX didn't just partner with the Bona Film Group to make Flying Swords of Dragon Gate, and release the 3D martial arts film in China before going back home. IMAX released the Mandarin-language film in select U.S. theaters to give Tsui Hark's picture an international platform. Gelfond said Hollywood doesn't take well to working in a foreign market where it doesn't control the rules of the game. "That's why there's been ups and downs," he added. Greg Foster, CEO of IMAX Entertainment, seconded that Hollywood has to do business the Chinese way in that region. "China is its own discreet market. If you treat it like Omaha, you're in trouble. You have to honor the culture, and work within it, rather than tell them what to do," he told the TIFF panel. Read more about IMAX at TIFF on The Hollywood Reporter's website.